If you are going to travel in another country, it helps to have an interpreter or guide to help you find your way. When you travel in Israel you are challenged by the diversity of cultures, by the multiple layers of history dating back to ancient times, by the influence and juxtaposition of three major world religions and by the volatile political climate. In order to navigate such a complex set of conditions, you’d need a guide who understands the land, its people, its religions, and its history. You would require a guide who could work in several languages and who could move seamlessly through the multiple layers of culture and tradition. This guide would need to understand the Biblical perspective of both the Jews and Christians, and have the ability to relate events in the Bible to geography and archaeology without being overbearing or condescending. Such a guide, were he or she to exist, would need to be practical, aware of logistics and trip details; they would need to be scholarly, aware of the Bible and what it says; they would need passion to relate to the depth of feeling such a trip incurs; and it would help if they were artistic, able to discuss Hebrew poetry and music in such a way that it brings the Old Testament alive to Western pilgrims. They would need to convey Israel’s journey, from the early Zionist movement to the latest political events, with an intimacy and familiarity that invites the Pilgrim to step inside the experience and connect to it in ways they had not anticipated. In Israel, we found such a Guide. His name is Shlomo Ben Asher. Shlomo is a modern derivative of the name Solomon, which is fitting because both men are known for their wisdom. Shlomo is a native Israeli, raised in the Kibbutz Ein Shemer, and he was our guide and tour manager for nine days in Israel. Shlomo served in the Israeli army, has a lovely family, and is by parts CEO, professor, archaeologist, linguist, vocalist, musician and story-teller. He is a published author (Legacy Interrupted, available on Amazon Books) and a gifted guide. Our group was both fortunate and blessed to enjoy his professionalism and his passion on our tour. Shlomo read us the Beatitudes in Hebrew. He educated us about the difference between tradition and confirmed authenticity, without ever once denying or insulting traditional sites. He took us to places most Christian tours do not get to go. He played Hebrew music on the recorder, and he sang and chanted to us in Hebrew, or led us in group songs, both Christian and Jewish. 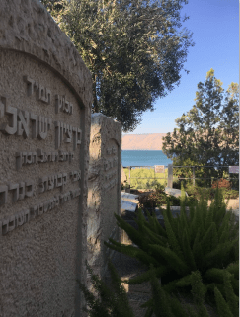 He took us to Oskar Schindler’s grave, the Holocaust Museum, and to the Kinneret Cemetery overlooking the Sea of Galilee. It is the burial place of Rachel (pronounced “Rakhel”, or Raquel) Bluwstein, a famous Israeli poet. Shlomo read her poetry to us with depth and passion, enlarging our perspective on longing, on connecting, and on Israel. She spoke of the son she never had, and lamented that she had not borne him to be part of the Israel she loved. It was a feeling that seemed to surface over and over during our trip, the passionate connection of people to the land, and of the deep desire to be part of God’s promise to Abraham. I sensed that passion in our guide, and I feel indebted to him for introducing me to Israel the way he and Rachel Bluwstein saw it. 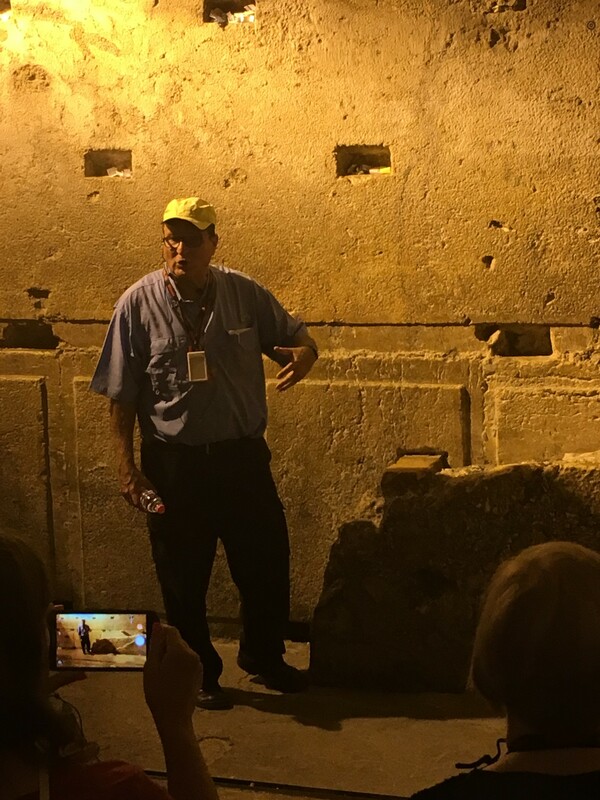 Our journey only scratched the surface of Israel, but it connected all of us to this Holy Land, this place where God confirmed His promise to bless all of the world. I will never know modern Israel as well as Shlomo Ben Asher, but I returned home with a deeper appreciation for God and for His people. My prayer is that He would be our ultimate guide, and would continue to lead us into His promises. How does this American understand the fabric of this Holy, sacred Land? Are secrets hiding in this tell? Is it the passion of (Racquel) who longed to bear a son to join the legacy of Israel? Do I see woven in this thread the contributions of the dead, and is this legacy new and strong in Shlomo’s words and Shlomo’s song? It is not in the things I know. So I will Be inquisitive, and hear my rabbi speak the words of Solomon, revisited. This entry was posted in Daily Devotions, Poetry, Thought for the day, Travel and tagged Bible, Daily Wisdom, Devotional, Guide, inspiration, Israel, observation, Shlomo Ben Asher, spiritual by admin. Bookmark the permalink.